Base 18, Inverness, was the main staging location for mine laying operations in the North Sea Mine Barrage. 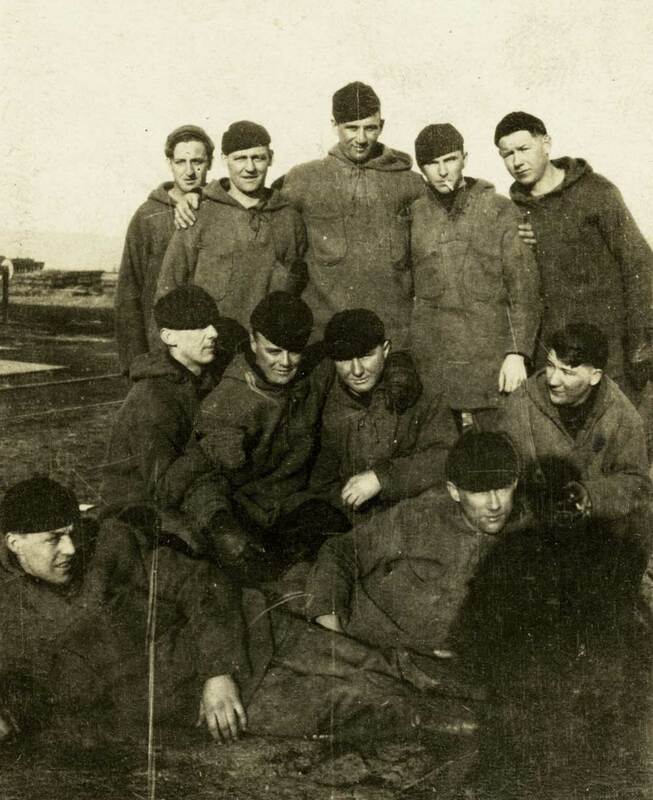 This photo shows members of the mine laying crews at Base 18. Caption: "Dirty Eleven, Base 18 Inverness."